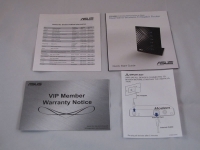 ASUS does a great job at providing plenty of information on their packaging. 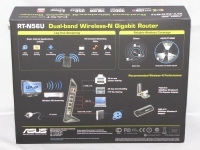 The front of the box for the RT-N56U provides enough information so a user will know exactly what they are looking at. 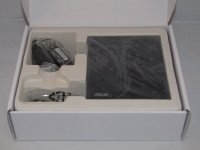 The back of the box is where you will find more detail and pictures, both things that an average user will appreciate and understand. Inside the outer slip cover is a white cardboard box, and inside this box is the router, power supply and Ethernet cable. All of these are packaged in separate compartments so they will not damage the router in shipment. 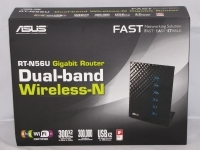 In addition to the router, ASUS also includes several documents, including a list of support phone numbers, a quick start guide, warranty information, and installation advice. 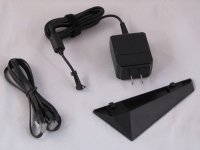 The hardware accessories include the previously mentioned power supply and Ethernet cable; as well as a stand for the router. » What music are you listening to? » eBay - Shop Victoriously!